Cambridge Materials is an independent laboratory testing materials for a broad range of clients. The company operates two facilities in southern Ontario, Cambridge and Mississauga. CMTL specializes in testing the properties of a large range of products from raw materials to finished parts for the nuclear, aerospace, fabrication, construction, automotive, plastics, rubbers and consumer products industries. 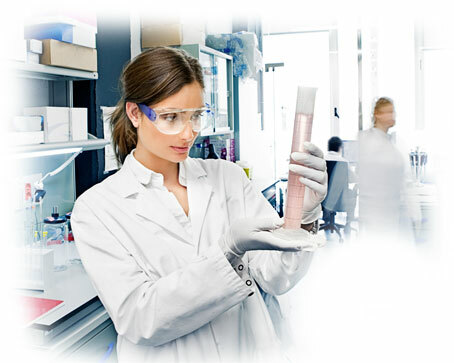 We provide laboratory testing services that can accelerate the process of bringing your product to market on budget. We provide our industry partners with laboratory testing service and support for their quality control requirements, production assessments, and procurement decisions. At CMTL our success is built upon our understanding of the specifications and requirements of major industries. We have expertise in many industrial and fabrication processes and procedures and are able to interpret the associated laboratory testing program requirements. The Standards Council of Canada (SCC) certifies CMTL as an independent testing laboratory to ISO 17025. For more than 25 years CMTL has been a stable partner to these industries and demonstrated a commitment to quality laboratory testing. Our commitment to our customers goes beyond the provision of fast and accurate results.